If you’re looking for cool wallpapers beyond what you can find in our Wallpapers section, in our forums, or in other wallpaper apps, Hexagram from developer EuroTech Solutions might be your best bet. 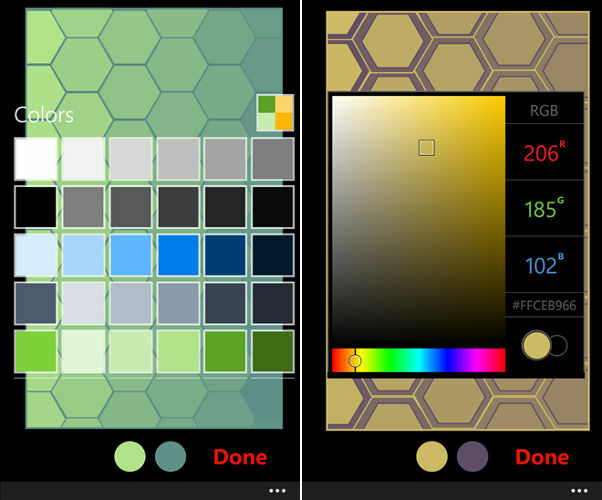 Hexagram gives you fully customizable wallpapers that blend colors with polygons, giving you an effect that is actually pretty neat. As any new wallpaper has the potential of doing, wallpapers from Hexagram give your phone a new breath of life in the looks department. Be sure to pick up Hexagram for your Windows Phone using the QR code above. There are also quite a few other wallpaper apps out there. Which one is your favorite? Let us know in the comments!